Ashley Madison: Why did it become so popular to cheat? I recently signed on as a blogger for a fundraising effort for the YWCA, The Rose Project. The myriad issues facing women young and old, are addressed here, and very near and dear to my heart, in more ways than I can articulate. This is the first post of many I have in the works in support of this effort. Please check out the site, contribute with your hard-earned cash as you can, and enjoy some really good reading, written by some really smart folks. In the course of my informal social research on Ashley Madison (AM), I formulated the following thoughts: Monogamy is a personal choice, morality is pliable at best, and utterly subjective at worst, so these two concepts in and of themselves offer little in the way of answers to the question at hand. I have turned this question over in my mind to the point of distraction, and put it forward to my various networks. There is little consensus and so many opinions that I could have written a book, but I was able to pick up on several themes. It seems to me, and apparently to others, that when we choose to be in a committed, monogamous, relationship, whether dating, common-law, or religiously and legally sanctioned by marriage, we have entered an agreement with our partner, to be, duh, monogamous. The folks I communicated with agreed that the trademarked AM tagline is very telling and I keep coming back to it, and its underlying messages: “Life is short. Have an affair.” I believe that at least part of what is so attractive to people about AM and similar sites, is that at the core, we have become a culture of entitlement. One in which everything has become a matter of fun, adventure, personal rights and deservingness, and the pervasive attitude that everything, including humans, is replaceable. If we’re not getting what we want from what and whom we have in our lives, we can get a new one, a better one, a different one, and it’s OK, AM says so! Life is short after all; we should have our cake and eat it too! Our wants have become perceived as needs, and perhaps, a growing laziness to do any real personal work, driven by unrealistic expectations of love and good relationships, are also at play. In Why Women Cheat: A Married Man goes Undercover on Ashley Madison, Charles J. Orlando discovers that many of the women want more (attention) than they have in their committed relationships, but are unwilling to leave their partner for any number of seemingly valid reasons; including standards of living provided by a spouse, staying for the kids, staying for social standing, and the like. It feels like a copout to me. My professional life informs me that well-adjusted, separated/divorced adults can provide great co-parenting, and come to good decisions about money, without living, and modeling, a lie. The other question I keep coming back to? Why would I commit, lead my partner to believe that I want a monogamous relationship, when I don’t? What happened to just being straight up? Even if I have simply changed my mind about what kind of relationship I want? What has happened to personal integrity? I am reminded of the simple, but oh-so-difficult-to-live-by Four Agreements by Miguel Ruiz, specifically, Agreement One: Be Impeccable With Your Word. Translation: be honest; don’t lie, don’t deceive, if you have agreed to be in a monogamous relationship, don’t cheat; you have given your word. When I polled my friends and colleagues about their experiences with cheating, most admitted to having done it, and for the record, I have too. We all had various reasons and justifications, but the common threads in this piece of my social research are that we subscribe to monogamy, none of us felt/feel good about having done it, and all of us had intense guilt shame about it. Many of these folks also thought that any culturally accurate answer to the question of why it has become so popular to cheat, needed to examine how our core values in relation to throw-away mentality, has changed over time and in the age of consumerism, (perceived but unattainable) perfection, better, bigger, more. I would add to that the scintillation of an adventure in a life fraught with responsibilities and meaninglessness, the (false) promise of complete anonymity (read: secrecy) because it’s the Internet, the pretense of no harm no foul, and the road to all willing infidels is paved in gleaming gold. In some ways, it is the Eldorado to feed the core of human greed; it offers the appearance of something (extra), and risking nothing. 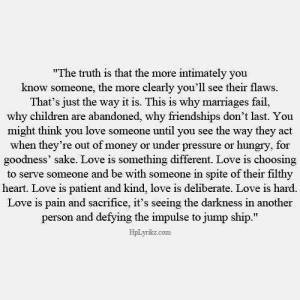 It has been my experience in life and love, that the greatest risk (and reward) of all is the vulnerability created with complete honesty and transparency in relationships. And maybe, just maybe, that is another of the possible answers to the question; Why it has it become so popular… to cheat? Perhaps it is because sites like AM provide the seeming opportunity of getting something, without risking anything, but most especially, not our oh-so-vulnerable hearts, and the potential of someone seeing our truest self. And then there is the entire issue of AM and similar sites being an ‘online’ thing, and the disturbing trend of psychological disconnect that happens for folks in online interactions, and falsely feed ideas that these interactions are not as bad as engaging in person, even when ultimately, the encounters often become real time and real life, real cheating. Do you think that cheating is so popular through an online venue because folks feel as though because it was instigated online, it isn’t as bad? Do you know anyone who has used sites like AM and what was their experience? What are your thoughts on making an informed and thought out decision to use a site like AM, after having committed to a monogamous relationship? What do you think about current cultural norms of replacing what is, or feels broken, as opposed to working on or fixing it?